In the wake of the presidential election, Green Party candidate Jill Stein has raised millions of dollars — more than double what she raised for her own campaign — in order to fund recount efforts in three states that Donald Trump won: Pennsylvania, Michigan, and Wisconsin. You'd think the person most interested in a recount would be Hillary Clinton, who lost Pennsylvania, Michigan, and Wisconsin by a combined margin of only around 107,000 votes. After all, should such a recount flip the results of those states, she'll have enough electoral votes to assume the presidency. But Clinton has not filed for recounts in these or any other states. Here's why. Update: On Tuesday, Hillary Clinton's lawyer filed paperwork with the Dane County clerk to register as "intervenor" in the Wisconsin recount, according to LawNewz. Elias enumerated several steps the campaign has taken to rule out hacking, miscounts, or other discrepancies that would indicate skewed results. But the investigative work the campaign has done "has not, in our view, resulted in evidence of manipulation of results," Elias wrote. However, Clinton's decision not to file for recounts doesn't mean she doesn't want them conducted, or that her campaign won't be involved at all. Rather, since Stein has initiated recount efforts in three states, Elias said that the campaign intends "to ensure [we are] legally represented in any court proceedings and represented on the ground in order to monitor the recount process itself." So Clinton's campaign will be participating, even though it's not initiating the action. Stein successfully filed for a recount in Wisconsin, and that effort will begin on Dec. 1, the Associated Press reported. She filed a suit in Pennsylvania for a recount, but it's unclear at this time whether the state will conduct one. And in Michigan, Stein plans to file her recount petition on Wednesday, though it is not guaranteed to happen there, either. 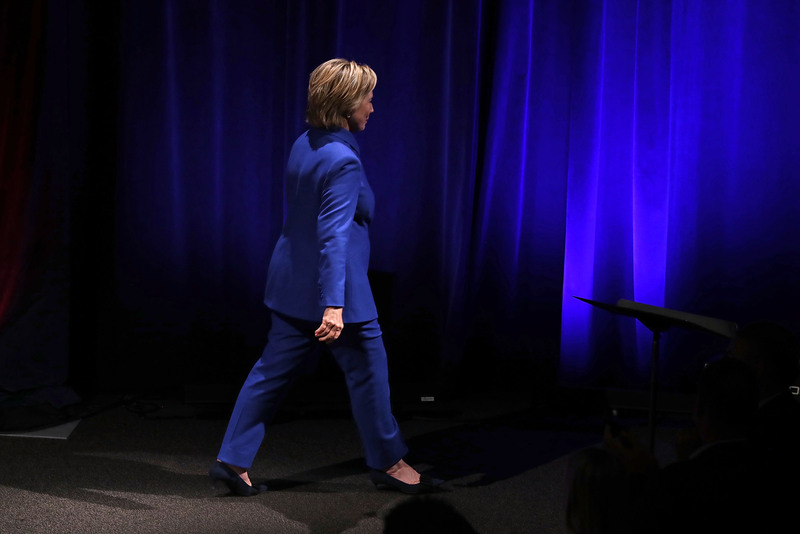 For her part, Clinton seems to accept as fact that she lost the electoral vote, though she won the popular vote by two million and counting, according to the latest from the nonpartisan Cook Political Report. As Clinton said in her concession speech, "I still believe in America, and I always will. And if you do, then we must accept this result and then look to the future. Donald Trump is going to be our president. We owe him an open mind and the chance to lead."